The next generation of students will be able to take greater control of their future career paths through new online apps being launched today, which empower them to make better choices about where and what to study (2 April). Universities Minister Chris Skidmore unveiled two innovative apps, created by the winners of a Government competition receiving around £150,000 funding each, which set out simple and accessible information about graduate outcomes for prospective students. The launch of the new tools follow the latest data published by the Department for Education on Thursday showing graduate earnings broken down by subject, which help students and parents to understand likely earnings and employment outcomes from a range of disciplines. The following speech was made by Chris Skidmore the Universities Minister addresses the UUKi higher education forum 27th March 2019. Good afternoon. And thank you for inviting me to speak at this year’s International Higher Education Forum here at Imperial College London on the importance of staying international. Please accept my apologies for not joining you in person. And all credit to the organisers – this Forum is certainly timely! We are now just a few weeks away from the UK’s departure from the EU. So, it is certainly important for us to be looking to the future and considering our relationships with the wider world. If anything, Brexit means we now need to be thinking and acting more globally than ever before. Our world-leading universities and colleges are international at their core. Our higher education sector relies on – and indeed thrives on – international connectivity, collaboration and partnership, and I want to see all those things continuing to flourish. As it stands politically, we still wish to have a deal with the European Union, guaranteeing certainty until the end of the Implementation Period and continuing to participate in the Erasmus+ and Horizon 2020 framework programme until then, while negotiating the terms of our Future Economic Partnership. Education Secretary Damian Hinds announces work with leading employers to help all primary schools offer top careers education. All primary school pupils will benefit from world leading careers education developed by top industry professionals including the British Chambers of Commerce and BP. To mark National Careers Week, which runs from Monday 4 March, to Friday 8 March, Education Secretary Damian Hinds announced that the Department is working with industry leaders to help make first class career-related learning a reality in all primary schools. The statutory guidance for schools on providing careers guidance has been updated. Education Secretary Damian Hinds has today announced a number of measures to make sure all children have access to a world class education. 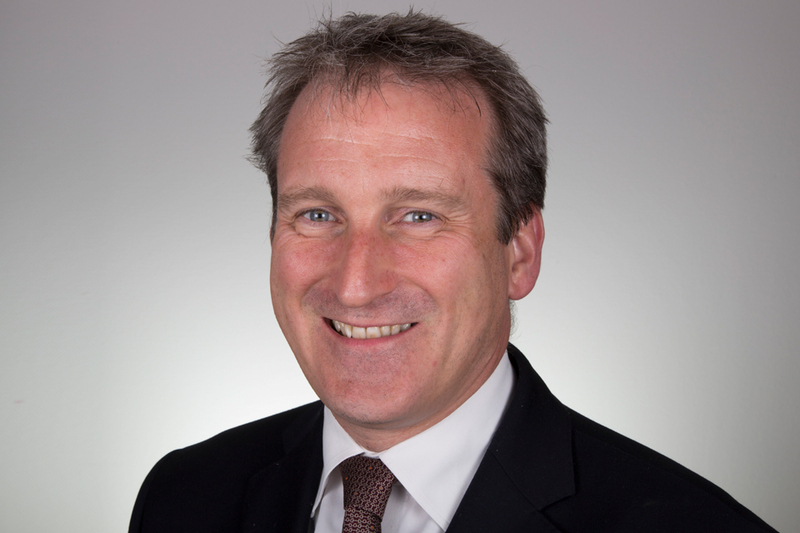 Education Secretary Damian Hinds has today (2 October) announced a series of measures to make sure every child has access to a world-class education at every stage of their lives, regardless of their background. The announcements build on the hard work of teachers and the government’s reforms with 1.9 million more pupils now in good or outstanding schools than in 2010 – an increase from 66% of pupils to 86%. A cross-government school sport and activity action plan will consider ways to ensure that all children have access to quality, protected PE and sport sessions during the school week and opportunities to be physically active throughout the school day. The Department for Education, Department of Digital, Culture, Media and Sport, and the Department of Health and Social Care, will review what further steps can be taken to support schools to train their teachers to deliver high quality provision in school and ensure that every child can participate in the sport and physical activity that is right for them. Thank you very much to the Resolution Foundation for chairing and to David for that introduction. And good morning everyone. It’s a great pleasure to see so many people here this morning. In particular, I’d like to take the chance to welcome the new chair of the Social Mobility Commission, Dame Martina Milburn. I’m very much looking forward to working with you and your team, and, indeed, to being challenged by you on these issues. For Dame Martina, and for some many people here, of course, have championed social mobility for a long time. It is also a cause very close to my heart. Social mobility is, ultimately, why I’m in politics – it’s why I wanted to come to be a minister at the Department for Education. In fact, I think it is a large part why we have a Department for Education – a core purpose of that department. Everyone should have the chance to fulfil that spark of potential which exists in all of us. You shouldn’t be destined to travel a certain path just because of the place that you start. That’s a simple concept – but not so easy to get right as many have found over the years. 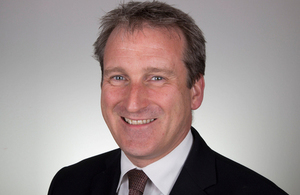 Friday 20th July 2018 Damian Hinds spoke at the NAHT conference where he announced plans to improve teacher early career support and development, as well as new measures on school accountability. The following is a transcript of the speech, exactly as it was delivered. I’m delighted to join you here today, and for the opportunity to speak directly to so many heads and school leaders. Since I started this job in January, one of my first priorities was to go out and visit schools, visit nurseries, visit colleges. You can read a lot of papers and talk to a lot of officials in the civil service – but nothing beats meeting the people who bring education to life. And, of course, no two schools are the same but what I’ve seen everywhere is this enormous passion, enormous level of commitment and dedication that you just don’t see in every profession. With so many teachers telling me how deeply they enjoy what they do. The creativity. The freedom. The joy of learning, helping to develop young minds. Looking around this conference room, I know that all of you want to lead great schools, to create a culture where teachers love their jobs and where children do their best. As Secretary of State for Education, my simple ambition is for all children, whatever their background, to go to a good school where they are inspired to learn and can fulfil their potential. I want us, together, to narrow the gap for the places left behind and provide better opportunities for the children who have the hardest start in life. The names of more than 60 FE colleges set to play key roles in new hubs, which the education secretary Damian Hinds has said will transform careers education across England, have been unveiled. But question marks have been raised over how viable it will be for the colleges to implement the required changes, as the hub support fund amounts to just £1,000 per provider. This is despite the Department for Education announcing an overall allocation of £5 million over two years to support the hubs’ development. There will be 20 careers hubs in every region outside of London, which will comprise colleges working with local schools and universities, training providers, employers and career professionals to pool their expertise on improving careers education. These form a central part of the government’s careers strategy, published in December, which focused the need to implement eight key “Gatsby benchmark” standards. “The careers hubs announced today will support young people with the right advice to help them make decisions about their future by building better links with employers and providing practical guidance and support to improve the provision of careers advice,” said Mr Hinds. The National Careers Service website recently launched a pilot version of job profiles and related search features and they want your feedback. The first phase of this development focuses on the user journey for career management and features 142 job profiles, based on the most popular of the 800+ job profiles available. Piloting the updated website means we can test and develop the new features, based on audience feedback while keeping the current content up and running. New features will be continuously developed, based on your feedback. Go to https://beta.nationalcareersservice.direct.gov.uk/ and them know what you think.